Hot water heater troubleshooting. Detailed hot water system repair tips. It’s usually only when you discover you’ve got no hot water, find you’re regularly running out or see water leaking from the tank that you realise your HWS needs fixing. If not rectified quickly it can become an emergency hot water repair situation because, let’s be frank, no-one enjoys cold showers! Unfortunately, in time, the parts on all hot water heaters will eventually fail and need replacing. Sometimes the heater is not worth repairing (too old, inefficient or not suitable for your household water usage) and a replacement hot water heater is required. To help you determine the likely cause and urgency of the problem, below is a list of common hot water problems and our recommended troubleshooting solutions. Hot water heaters make noise whilst they go about their job of heating cold water and sending to your pipes and appliances. If you notice a change in the noises coming from your hot water heater or it because increasingly audible each time you turn on the hot water tap, then it might be a good time do some further investigation. Gurgling, crackling or popping : These noises may be caused by the contraction and expansion of the hot water tank during normal operation. Other causes may be due to sediment build up that may trap water under a film of caked build up. When the water heats up it is forced through a small hole and may make a “popping” sound. Usually these sounds are nothing to worry about however it might be worthwhile giving our hot water specialists a quick call just to make sure. Screeching or screaming : If the valves on your hot water heater are not opening properly, when water is forced through the valve when you turn on the tap, the force of the water pressure can cause an audible screaming or screeching sound. If you’re hearing more of a whine sound then this can be due to scale build up on the heating element. Bubbling : If you’re hearing a bubbling sound coming from your hot water heater then contact one of our hot water specialists immediately. This usually means that the heater is overheating or there is a pressure build up. This can be extremely dangerous and needs immediate attention. Contact our emergency hot water repair technicians for prompt assistance. Gurgling, crackling or popping sounds may not be something to worry about however a quick call to our hot water specialists won’t hurt to put your mind at ease. Screeching or screaming noises may be due to a faulty valve operation which will need replacing. Call us on 1800 266 999 to schedule a hot water service. This isn’t a costly process and the job can usually be completed under one hour. IMPORTANT – Bubbling sounds from your hot water heater could indicate an overheating or pressure build up issue and requires emergency assistance. Call us immediately – 1800 266 999. The most common reason people run out of hot water is that their tank is not big enough. We suggest our customers track their household hot water usage to determine whether their habits have changed recently, causing them to run out of hot water. Have the habits of the members of your household may have changed recently? For example, hot water usage usually increases in the colder months as we take longer showers. Adults and teenagers spend more time in the shower than younger children who tend to take baths. A recent bathroom renovation may also increase your hot water usage. Pre-existing low-flow taps and shower heads may not have been installed, thus consuming more hot water. Even the installation of a deeper bath and vanity basin can affect your water usage. The obvious solution is to take shorter showers and make all household members aware that they need to conserve the hot water. If this isn’t a viable solution then a bigger hot water system that is more suited to your usage requirements may be necessary. 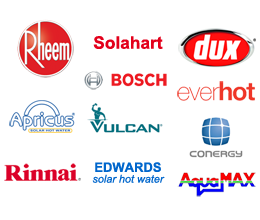 We stock a huge range of new gas, solar and electric hot water heaters and, after asking you a few questions over the phone, can quickly ascertain what systems will best suit your requirements and budget. Many older gas, electric, and even solar, hot water system are not as energy efficient as today’s models. The cost to upgrade to a new hot water system or even switching from electric to gas or solar, will pay for itself very quickly with the money you will save on your energy bills. Stop running out of hot water today and call Cheapa Hot Water Sydney for a quote to upgrade today.  All hot water heaters – gas, electric and solar – contain parts that work together to make the system work correctly. If one of these parts is malfunctioning or broken then, at worst, you’ll have no hot water. In some cases you may have hot water but find you run out quickly – usually after someone has a shower. This is usually because, due to a broken part, the water is not heating up quick enough after use or keeping the water in the tank hot ready for use. A broken thermostat and/or heating element(s) within the hot water system will mean the water inside the tank doesn’t heat up quickly enough, or doesn’t heat up at all. Some hot water heaters have two elements – one at the top and one at the bottom. If the top element is faulty but the bottom element is still working you’ll probably have limited hot water supply. If the upper element is faulty then you probably won’t have any hot water as the top and bottom elements are configured to work together. At the side of every storage hot tank there is a temperature pressure relief valve. This valve can malfunction and may leak. If it leaks constantly you could lose enough hot water, even in a short period of time, to run out. If this is discovered then it needs to be determined why it is leaking – it could be a water pressure issue, water temperature related (usually too hot) or sediment build up in the valve. You can try flushing out the valve to remove the sediment. If this doesn’t work, it is likely to be a bigger problem and requires the assistance of a specialist hot water plumber such as us. If any one of the water pipes that lead from your hot water heater to the various appliances and taps develop a leak that can, depending on the extent of the leak, cause you to run out of hot water. If pipes start leaking within the cavity you will probably notice this quickly as water damage will start to appear. Additionally, if pipes that are concealed under the property, could develop a leak. This may go unnoticed for some time. When you start to run out of hot water or notice an uncharacteristically high energy bill, further inspection of these pipes is recommended. A qualified hot water plumber (like us) will be able to quickly replace the faulty element(s) or thermostat with new parts and you’ll be back enjoying hot water in under an hour. There won’t be any need to replace the hot water heater. If the water coming out of the hot water taps is discoloured, usually orange, then it could be due to a spent anode inside the hot water heater. It may also have a metallic smell about it. First, to determine whether the problem lies with your HWS, test the colour of the cold water supply too. If the cold water is orange too then this could be a problem with your water supply and you should contact Sydney Water (or your water supply company) or you might have an old galvanised steel water pipe between the meter and building, which is rusting internally. If only your hot water is orange (or a rust colour) then it is a sign that the sacrificial anode inside your tank is spent, reaching the end of it’s useful life inside your tank. Anodes are magnesium core rods installed at the top of the hot water tanks during production to prevent rust and corrosion. 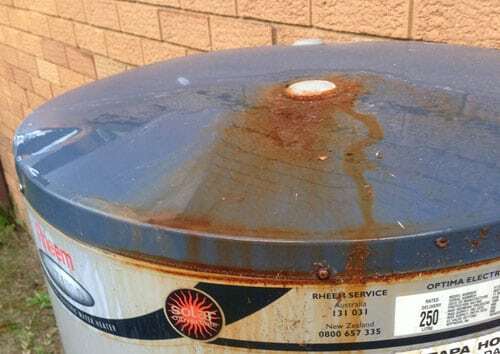 Once the inside of your water heater starts to rust and corrode your hot water turns orange. Anodes typically last between 3.5 – 5 years. Once the anode is spent it fails to protect the tank which will start to deteriorate. In time, a rusting water heater will cause problems which are typically more expensive to repair than simply replacing the anode. Regular anode replacement ensures your water heater continues to operate as intended and lasts longer therefore saving you money in the long term. If your water heater is over 3.5 years old, we suggest you contact us and we can advise whether your anode may require replacement. If you supply us with the make and model of your water heater we will be able to determine whether a service call is required. Some anodes last longer than others, depending upon the material of which they are made, so a quick phone call will give us the information we need to make such as assessment. First, to determine whether the problem lies with your HWS, test the colour of the cold water supply too. If the cold water is discoloured too then this is a problem with your water supply and you should contact Sydney Water (or your water supply company). If it’s just your hot water that’s dirty or discoloured (see above for orange hot water) then it is usually caused by sediment build. Corroded pipes can also discolour your hot water supply. Replacing the pipes may be the only solution here. We can undertake simple tests to determine if this is the case as it goes beyond the simple solutions we can supply in this blog post. Flushing out the hot water tank and cleaning the heating element(s) will usually remedy these issues. If you’re not confident to undertake this yourself, contact our hot water specialists to book in a service. A service usually takes under one hour and is a small price to pay for trouble free hot water usage. Does it have a rusty or metallic smell? If your hot water has a metallic or rusty smell, this is usually due to a hard water or internal corrosion of the hot water heater. This is uncommon in Sydney as the water is soft. In areas such as Adelaide which has hard water or those using bore water, this is more common. First, to determine whether the problem lies with your HWS, test the colour of the cold water supply too. If the cold water is orange too then this is a problem with your water supply and you should contact Sydney Water (or your water supply company). If only your hot water is orange (or a rust colour) then it is a sign that the sacrificial anode inside your tank has corroded. Anodes are steel core rods installed at the top of the hot water tanks during production to prevent rust and corrosion. Once the inside of your water heater starts to rust and corrode your hot water turns orange. Anodes typically last between 3.5 – 5 years. Once the anode has fully corroded it fails to protect the tank which will start to deteriorate. In time, a rusting water heater will cause problems which are typically more expensive to repair than simply replacing the anode. Regular anode replacement ensures your water heater continues to operate as intended and lasts longer therefore saving you money in the long term. If your water heater is over 3.5 years old, we suggest you contact us and we can advise whether your anode may require replacement. If you supply us with the make and model of your water heater we will be able to determine whether a service call is required. Some anodes last longer than others, depending upon the material of which they are made, so a quick phone call will give us the information we need to make such as assessment. Bacteria growth inside your hot water can make the water smell. Typically this happens when the hot water has not been used for a period of time (have you been on holidays?) or has been turned off for some time. If the thermostat has been set too low, this can also cause bacteria to grow within the unit. If your hot water smells “rusty” or metallic then an anode replacement could solve this problem. Contact us to organise a hot water service and anode replacement. This is inexpensive and typically takes under an hour. If you’ve been away on holidays for some time or the hot water heater has been turned off, try flushing out the tank and see if this solves the problem. If the smell remains, ensure the thermostat is set to the correct temperature. Under Australian law the internal temperature of a hot water heater must be set to a minimum of 60 degrees celsius. This temperature stalls the growth of harmful bacteria and preserves a safe operating temperature for your hot water system. We would strongly discourage inexperienced people from adjusting their hot water thermostat themselves. Not only is there the potential of damaging your hot water heater (and voiding your warranty) but you risk the potential of serious injury from electrocution or even sickness from legionella. Contact us for further assistance on 1800 266 999 or complete our online enquiry form. This is one of the most common emergency calls for assistance we receive from customers every day. The outside location of most gas, electric and solar hot water systems mean that most people don’t realise their hot water heater is leaking until they start running out of hot water prematurely. Worse, it may not be until they completely run out of hot water that they take measures to locate the problem and, only then, discover the leak. Of course, a leaking indoor hot water heater can also go unnoticed and usually causes bigger issues caused by internal water damage. This is why we strongly recommend that your hot water system should be serviced every few years as this should identify and resolve problems even before they arise. IMPORTANT: If your hot water heaters TPR (Temperature and Pressure relief Valve) is leaking more than 2 – 5% of water each heating cycle, this could indicate a serious problem and requires specialist diagnosis. Please contact us for advice. Unfortunately, in time, all hot water heaters will eventually fail and need replacing. For storage water heaters this is usually evident by water leaking from the storage tank continuously. You can often temporarily maintain the supply of hot water by turning off the cold water supply valve on the inlet to the water heater in between usage periods. There are several reasons why your hot water heater may be leaking. This most common are listed below. The tank has corroded causing cracks or fractures to appear that enable water to leak out. Unfortunately this usually means a replacement hot water system is required. Sometimes these cracks can be “mended”. Your water heater type and location determines the best repair option. Speak with one of our hot water specialists for advice about what to do. If you have a solar or electric hot water system and it is leaking from the top or bottom of the tank it’s important you turn off the electricity before inspecting the problem. Water and electricity don’t mix and can be extremely dangerous for the inexperienced. Typically your hot water system will run off its own fuse so you should be able to just turn off the electrical switch/ circuit breaker inside your electrical meter box. This switch is should be marked either HW or HWS. When this switch has been turned off, all other electrical devices will work as normal. The pressure relief valve or pressure temperature relief valve toward the top of the tank may need replacing. Please note it is normal for these to leak a little water from time to time but not on a steady basis. If the pressure valve is leaking try lifting the lever several times. This opens and closes the valve and can help clear any blockages. If the water keeps running, contact us for assistance as the valve probably needs replacement. This isn’t an expensive repair. For substantial leaks from electric hot water systems you can completely turn off the water supply to the heater along with the power switch in your electrical meter board. If your gas hot water heater is leaking, turn off the gas valve beside the heater to isolate the gas supply. Turning off the water supply : Turning off the water supply is the same for all solar, electric and gas hot water systems. Close to the HWS there should be a small tap or lever on a pipe feeding into the bottom of the system. Turn this off fully turning the tap clockwise. This only turns off the water to the hot water system, not the rest of the taps in the home so you can continue using them as normal. If you can’t turn the tap or lever then it may have corroded and seized up over time. If this is the case you will need to isolate and shut off the mains tap which will be at your water meter. Please note this will turn off the water supply not only to your hot water heater but the entire house. It’s a good idea to fill a few buckets and bottles with water so you’ve got fresh water on standby until you resolve the leak. Turn off the gas supply : If your gas hot water heater is leaking then you’ll also need to turn off the gas. There should be another pipe running into the system, also with a tap or lever attached. Turn this off too. Helpful reading: How to relight your Rheem Stellar or Rheem 5 Star gas hot water heater. Need hot water heater repair assistance? A regular service by one of the authorised hot water repair technicians at Cheapa Hot Water Sydney will ensure you enjoy trouble-free hot water for many years to come. A regular hot water service ensures your system continues working safely whilst increasing the cylinders longevity, therefore saving you both money and inconvenience of future breakdown. Your hot water service should be undertaken by a licensed hot water plumber no longer than every five years. If this time period lapses it may result in the manufactures warranty becoming void. It doesn’t take long for a technician to service a system – usually less than an hour. It’s a small price to pay for peace of mind and trouble free hot water usage. Did you know that most manufacturers won’t cover the terms of your hot water system warranty if it isn’t installed or serviced by a licensed hot water technician or qualified hot water plumber. Hot water tanks are an expensive appliance so why would you risk voiding your warranty by installing it yourself or employing the services of someone who isn’t licensed? To book a hot water system service call 1800 266 999 or complete our online enquiry form. A service typically only takes around an hour. If you’re not confident troubleshooting your hot water heater problem yourself, contact our specialist hot water plumbers for emergency assistance on 1800 266 999 or text 0410 693 532. Alternatively, you can complete our online form for emergency hot water assistance and we’ll get back to you within one hour. Don’t worry, we’ll have you enjoying hot showers again in no time! Thank you for replacing my hot water tank so quickly after it blew up. 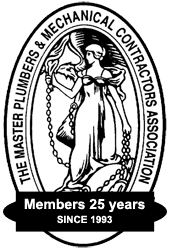 It is not often that you find a company so professional in the way they do their business – this was done on every level from the time I called. Luke called to say he was on his way. Vehicle presentation and workmanship and pleasant nature shown by Luke. Keep up the good work”. – Greg Dale, Bonnyrigg Heights. ← My hot water heater is making weird noises!? !